The size and use of a floating dock will determine your application requirements for obtaining a waterfront permit. 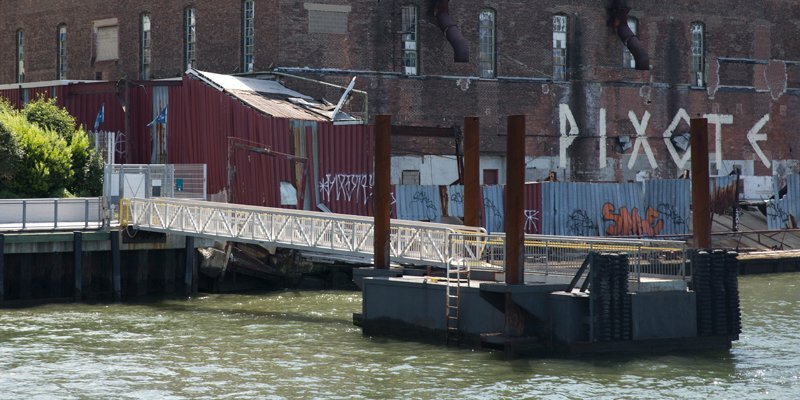 The permitting of small residential floating docks can be expedited by the New York State Department of Environmental Conservation through a Standard Activity Permit, provided the dock meets size restrictions. Any floating dock designed for the mooring of boats must be located in a minimum water depth sufficient to support boating and must meet strict design standards and survey requirements. The easiest and most efficient path to obtaining a permit is the submission of an application for a project that is designed to be compatible with NYS DEC policies and land use regulations. NYS DEC has identified waterfront activities that conform to agency standards as Standard Activity Permits (SAPs). Residential floating dock(s) totaling 200 square feet or less in size, including associated pilings are compatible with agency (NYSDEC) policies and land use regulations, and are therefore classified for review as a Standard Activity Permit. Obtain or update an existing site conditions map or property/site survey of the property. See NYS DEC’s Drawing Checklist for Dock Projects for recommended survey content. Check on the legal status of all existing shoreline structures and resolve outstanding issues/disputes. Submit a Joint Application with required NYS DEC materials. To find out what to include in the application, see DEC’s Waterfront Activities Application Checklist. If you believe you qualify for a Standard Activity Permit, include a cover letter with your application stating so. Note that application document and drawing requirements are the same for all dock projects, regardless of SAP status. If there is a possibility that a float could sit on the bottom of the waterway, the structure should be chocked at a minimum of 18 inches. Any docks/piers/catwalks that pass through a vegetated wetland to access a float should be constructed at an elevation of 4.5 feet over grade. Floating docks where boats are moored must be located in a minimum water depth of -2.5 feet at Mean Lower Low Water (MLLW). It’s essential that you accurately determine water depth at your proposed site. All depths must be certified and prepared by a NYS licensed Land Survey using either a standard bathymetric survey method, or measurements taken at Mean Low Low Water with a sounding pole or survey rod. Proof that the construction of the dock is not likely to cause any measurable increase in erosion at the development site or other location; and that it prevents or minimizes adverse effects to natural protective features, existing erosion protection structures, and natural resources such as significant fish and wildlife habitats.